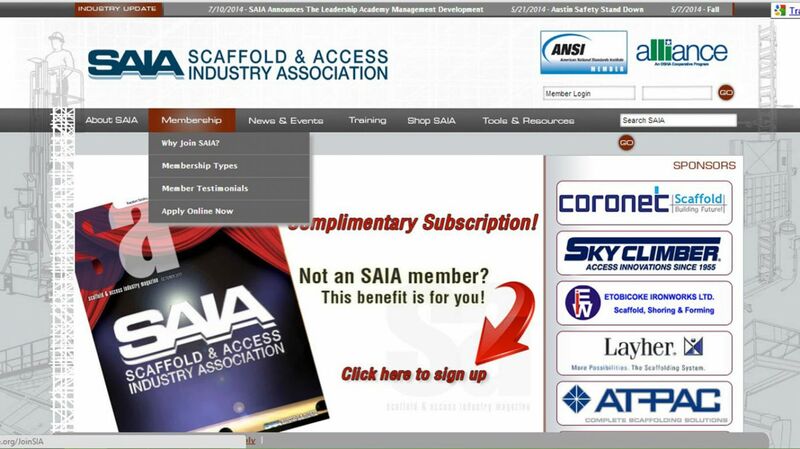 Scaffold & Access Industry Association's (SAIA) most important asset is its members. Each member is unique and has something to offer the SAIA and the scaffold and access industry. Collectively, you won't find a greater wealth of scaffold and access knowledge or information from any other company or association in the industry. Chicago Scaffolding is proud to be an Accredited Training Institute for SAIA.